Celebrating birthdays is one of my favorite things to do with my grandchildren. I am always listening and looking for the recipes to make for their birthdays. One day my Grandson, Gabriel was sitting next to me while I was on Pinterest and spotted these Chocolate Malt Cupcakes pinned from Your Cup of Cake. He remarked that he wanted these for his birthday and he would come back months later and say "remember those cupcakes we saw, I still want them for my birthday". Needless to say, he was thrilled when he saw them on the table for his birthday this past week. We celebrated Gabriel's 11th birthday at a State Park in Daingerfield next to where we live. We cut a watermelon and had these cute cupcakes that were the star attraction. There is a nice swimming area and picnic tables under a lot of shady Pine Trees. Preheat oven to 350 degrees and line pans with 24 cupcake liners. Sift cake mix in to a small bowl and set aside. Combine eggs, oil, buttermilk, sour cream and vanilla extract until smooth. Add malted milk powder to cake mix and stir. Combine dry and wet ingredients and mix. Fill cupcake liners 3/4 full and bake for 16-22 minutes, or until a knife comes out clean. Beat butter and cream cheese for 4 minutes and scrape down the bowl as needed. Add cocoa powder, powdered sugar, vanilla extract and malted mix powder. Beat until smooth. If too thick, add a tablespoon of milk. If too thin, add more powdered sugar. 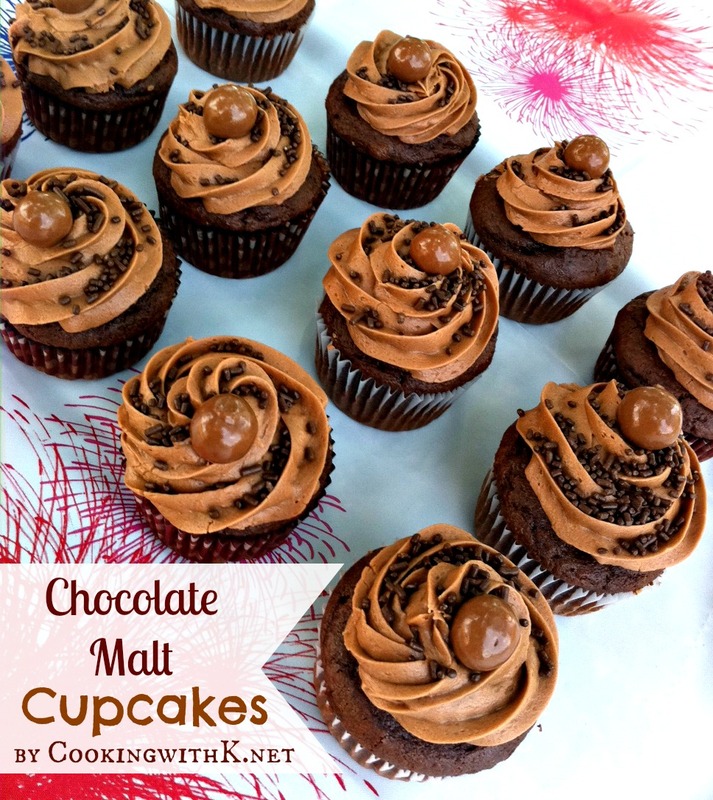 Pipe onto cooled cupcakes and decorate with chocolate malt balls and colorful straws. This recipe and others maybe seen on these blogs here! These cupcakes are so cute and look sooo good! I've always loved whoppers! I need to pin this and remember the recipe. :) Looks like y'all had a fun party! Wish it was my birthday too! Lucky your man! Beautifully done - and the chocolate! 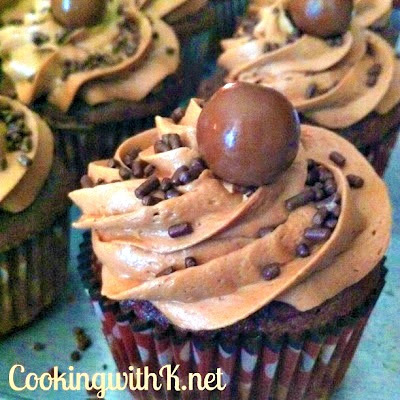 I found this via Make Ahead Meals for Busy Moms. I have linked in my latest attempt at meatballs. Have a super week. WOW! perfect for pool gates tampa parties. 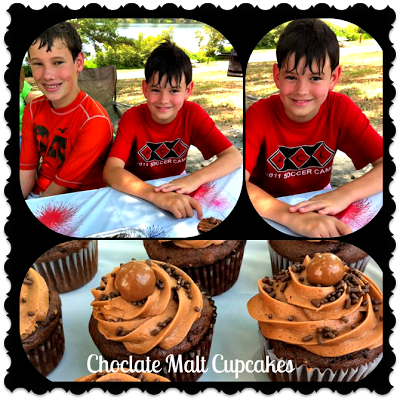 The kid's would really enjoy picnics and day out with these yummy cupcakes!